Produktinformationen "OL' SKOOL RODZ Issue 81"
Ol' Skool Rodz #81 with coverage of the West Coast Race of Gentlemen, Dead Man's Curve Show, Road Rocket Rumble, and Return to the Milltown (to mention a few). Seven sweet hot rod and custom Chevys and Fords, too, plus an original Denver's Choppers Shovelhead. 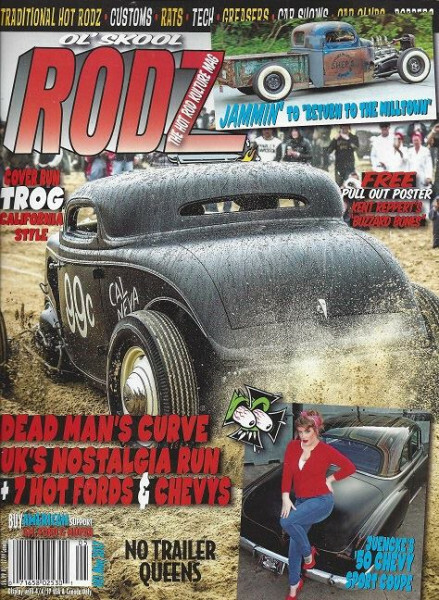 Weiterführende Links zu "OL' SKOOL RODZ Issue 81"
Kundenbewertungen für "OL' SKOOL RODZ Issue 81"